Another week, another episode of “Borrow your love”! After last week I had been really looking forward to this one to see how Ping An and Ye Chen develops… I am somewhat disappointed. Continuing on from the last episode, Ping An suggests she will go back to the lakeside to search for the earrings. Xi Le wants to go with her, but Li Sha makes up some excuse that Xi Le needs to get some spa treatments since she needs to look her best. So Ping An leaves to search on her own. As Li Sha and Xi Le are getting the spa treatments, Li Sha reminds Xi Le she shouldn’t hang around ‘poor people’ like Ping An anymore. Bai Ming Li is an impatient person so Xi Le needs to step up and integrate into their society. Otherwise she will be their laughing stock. Xi Le feels uncomfortable hearing this, but she’s unsettled because of the whole tie pin issue. Li Sha also openly declares her interest in Ye Chen, and wants Xi Le to help her… what? Xi Le is not really going to is she? How can she abandon her ‘sister’! Ye Chen is calling Ping An but she doesn’t answer. Then he finds her phone and realises she forgot to take it with her, again. So he finds her by the lakeside looking for the earrings. Of course Ye Chen would help her, but as the audience knows, they won’t ever find the earrings there because Li Sha took them. So Ping An heads back disappointed. As Ping An enters her room she finds Li Sha and Xi Le there chatting about skincare products. Ping An tells them the bad news so in the end Xi Le offers to pay for the earrings, Li Sha can’t really say no to that so she leaves. This is probably the turning point in the friendship between Ping An and Xi Le. Ping An tries to apologise, saying she’ll repay her and be more careful next time. But Xi Le is tired of picking up after Ping An, and mutters something like – yeah, you’ll probably drag me down in the future because you never think before you act. Awwww, I feel for Ping An here. I know there had been a lot of times in this drama where Ping An just rush to judgement but deep down she’s still a good person. I guess Xi Le has this bottled up all these years… plus her doubts about Zi Wen and Ping An that’s making her more impatient than usual. The next morning Ping An goes back to the lakeside to find Ye Chen there. He had been looking for the earrings all night (sweet!). He tells her the earrings cannot possibly be here because he has looked everywhere. Ping An is so touched she just hugs him…. (awwwww…) I know, that’s really the shortest recap of this ep’s sweetest scene, argh… let’s just have some screencaps? Zi Wen now has a copy of Bai Ming Li’s medical report. He notices she is taking very strong painkillers so it must be serious. He’s smiling all evilly again. At his home, Director Ji is also reading the report and is about to start dancing in happiness. He plans to call all of the other Directors/Executives to his house for afternoon tea to announce this news. But before they arrive, Zi Wen visits him. Zi Wen has called off Director Ji’s afternoon tea with the directors because he has a plan. Director Ji has no choice but to listen to Zi Wen because Zi Wen has evidence that Director Ji had taken bribes. Zi Wen doesn’t want anyone else to know about Bai Ming Li’s condition… yet. He will use his position as ‘future son-in-law’ to work together with Director Ji to take down Bai Ming Li (or so he says). 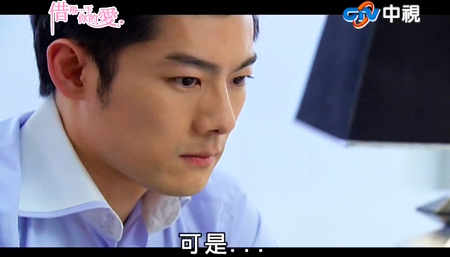 Of course Director Ji is angry because he was looking to take over the whole company, not sharing with Zi Wen but for now, he has to pretend to work with Zi Wen. Back at Bai Ming Li’s office, Ping An announces she’s back from the work trip. Bai Ming Li is happy with her work at the photoshoot and comments it must’ve been difficult to work with Huo Ying and Li Sha. Ping An agrees but knows she can learn a lot from them because they had studied overseas. Bai Ming Li replies that if Ping An had the chance to study overseas, she can do an even better job than them. Apparently there’s a study assistance program in the company for high achieving employees. If Ping An keeps working hard, she’ll have a chance for further study too. Then they head to the food court to meet with Ping An’s friends. They miss her a lot and wish she can go back to work with them. But Bai Ming Li shuts the door on that one, saying Ping An is doing such a great job she will be working with Bai Ming Li from now on. Of course the other workers are happy for Ping An, she’ll visit them often anyway. Suddenly that annoying manager pop out from nowhere… wearing like TWO red bows, one on her head and one around her neck. She looks ridiculous! It’s for celebrating the reopening of the food court? There really isn’t a point to this scene except seeing the horror on Ye Chen’s face when he sees the bows. HAHAHA I almost forgot about his phobia. At Zi Wen’s house he’s cooking dinner for Xi Le. Like any insecure girlfriend she starts sniffing around his stuff and finds a box. (Well, not really ‘found’ because it was just sitting on his bedside table…) Anyway, she finds the picture of the birthday cake Ping An drew and wondered why Zi Wen would treasure it so much. Before she could even digest that, she’s hit with another blow – finding a picture of Wei Zhen. During dinner Zi Wen asks her what’s wrong but she wouldn’t say. Since they’ve been intimate already Zi Wen pushes her and asks why can’t she trust him… eventually she talks about that day, when she overhead the conversation between Ye Chen and Zi Wen – about Wei Zhen. Zi Wen actually had the guts to lie and say Zi Wen is his sister, WTH! So Xi Le becomes more annoyed wondering why he has never talked about her and she never even had the chance to meet her… I can’t help but laugh at Zi Wen’s expression as his pretend tears come out and say that’s because Wei Zhen is dead. Sorry, I’m just laughing at how fake that guy is. Zi Wen shouts: What else do you want to know! I’ll tell you everything! When I was in high school, my parents’ business went bankrupt and they committed suicide. Wei Zhen was the only person left in the world whom I wanted to protect. But because of me! Me! She died in front of me! I grew up alone thinking…. why? WHY? What did I do wrong? Why does everyone I love all leave me? I just want to forget everything and live a peaceful life. Even if I have to lie to myself and forget about it. Why? Why did you have to force me to bring this up again? But as she’s walking out of his building he catches up to her… and they hug. Ping An is at the florist picking up some flowers for the food court reopening, Ye Chen is of course there to help her. He notices that she doesn’t have that bow Zi Wen gave her anymore… and Ping An casually drops the comment that she put it away since he’s scared of them lol. Then he flashes the sweetest smile…. At the reopening Bai Ming Li is struggling, she somehow managed to finish her speech but fainted afterwards. She was taken to the hospital. 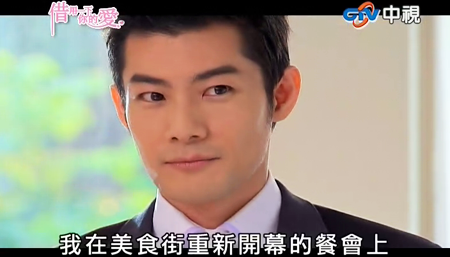 Zi Wen meets Blackie at a toilet – yep Zi Wen switched Bai Ming Li’s medication just to scare her, so she would think she doesn’t have much time left and quickly let him marry Xi Le. That way, if anything happens to Bai Ming Li all her power would transfer to him. But if Director Ji announces it to everyone now Bai Ming Li’s sick… then Director Ji would be the successor. 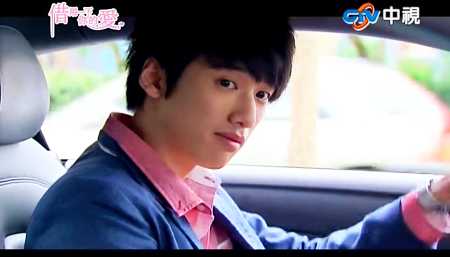 Plus this way he can gain Director Ji’s trust. (or something like that…. hrm…) Zi Wen also insists that Blackie dispose of the fake pills with extreme care, he can’t let this incident be traced back to him, or look suspicious. In the most random scene, like ever, the next day (?) Ping An goes to work in her scooter. But Huo Ying is outside the mansion… waiting for her!? Then we have a flashback going back to the horse ‘race’ in the last episode… apparently after Huo Ying’s pants split Ping An sewed it back for him. And… he finds her cute as she’s helping him. OMG. WTF. Now we have Huo Ying falling for Ping An while his sister wants Ye Chen. Gosh, what is this? Ping An and Ye Chen are not even ‘together’ yet and the siblings will tear them apart? 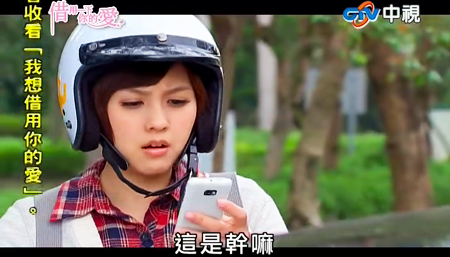 So Ping An refuses Huo Ying’s offer of driving her to work but he catches up to her in his car anyway. Then he made up some excuse of giving her a new phone, saying he won it at a new year’s dinner but all of his friends has a smartphone anyway… Since Huo Ying’s kinda insisting and she needs a better camera phone, she accepts it. When Ping An arrives at the shopping centre she bumps into Zi Wen. He observes that it’s been a long time since she’s driven her scooter… and eventually he asks her why she’s not wearing that bow anymore. She lies that she broke it so he offers to buy her a new one. But she tries to keep the distance by saying he should give it to Xi Le instead… somewhere in this conversation, he tries to pinch her nose, but she backed away. Zi Wen: Ping An, even though I’m with Xi Le now… we will still be friends right? Ping An: Of course, I will never forget how good you were to me. At the hospital the doctor discovered Bai Ming Li had taken fake medication. That was why she had a severe allergic reaction. But when they examine the leftover pills in her purse, there was nothing wrong with them. Earlier in the office, Ye Chen discovers that after Bai Ming Li went to hospital Zi Wen came back because he ‘forgot something’, Ye Chen’s starting to suspect Zi Wen switched the pills but doesn’t mention this to Bai Ming Li. [Unconfirmed] Love SOS 119 to air after Borrow Your Love? Sonia Sui, Christopher Lee and Hans Chung in GQ Taiwan: Who is Mr Right? I was not very happy with the outcome of this episode as well, but I’m happy there was some great Ping An and Ye Chen moments. If Xi Le decides to help Li Sha with her plans and become even more distant and mean towards Ping An, then I can’t wait to see the look on her face when she finds out that she is NOT Bai Ming Li’s biological daughter. And the look on her face when she also finds out that Zi Wen lied to her; that’s if she ever does because she is pretty stupid. Zi wen and Xi Le belong with each other and I’m atarting to dislike her just as much as I dislike him if she does not become smarter soon and quit listening to the enemy (Li Sha). I also cannot wait to see what Bai Ming Li will pit in her will… If she ever gets to it, which I hope she will. Ah yes, too bad those PA/YC great moments were so short! I still feel a little bad for Xi Le though, since pretty much everyone is lying to her, and it wasn’t her fault. Maybe her attitude towards Li Sha softened because she knows she’s Sha Sha from the orphanage, plus the suspicion / insecurity towards Zi Wen (and somehow Ping An has this ‘ambiguous’ relationship with him). Not to mention Ping An can be annoying sometimes… at least the series can go a few different ways from here, will Zi Wen turn back before he sinks deeper and actually fall in love with Xi Le? 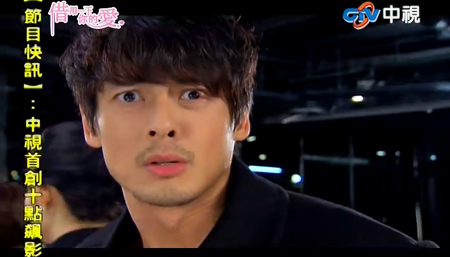 Will Bai Ming Li die…? I guess I’ll continue to watch for these reasons (other than the obvious!). Yeah, I feel that their interactions should be somewhat a little longer, but I am still happy to see that they have some time to spend together even if it is a rather short moment. At first I felt bad for Xi Le when she was being lied to, but after she start listening to Li Sha and started distancing herself somewhat from PA, I started to feel a slight dislike towards her. I can understand her love for Zi Wen and she will believe him, but knowing how cruel a person is like Li Sha should already tell her that LS has no good intentions whatsoever, and wants to tear not only her apart from PA but YC as well, for her own greed. Feeling some kind of annoyance from Ping An is very understandable since they have been friends/ sisters for so long, and she is aware about PA’s personality could drive her to a point to blow up, with things she does not agree upon. no type of relationship is perfect. When I see that, it seems that she is only taking her frustrations out on PA and not others who should that deserve it. Sure she is supposed to be the sweet one and try to keep peace, but sometimes always being sweet can be your downfall if you don’t see others cruel intentions. PA has always been there to help her when she should could not really stand up for herself. Sure PA is brash, but the thing I like about her is that she has a fiery spirit and she isn’t afraid to tell people about themselves when they deserve it. It’s not PA’s fault that Zi Wen keeps giving her attention when she clearly is trying to avoid him. I don’t agree with her making up excuses and lying when she should just tell the truth. For instance, when she decided to put the pin Zi Wen gave her away. The questions you are asking, I also wonder as well. Zi Wen seems to be very determined to drag Bai Ming Li down and he went with Xi Le for all the wrong reasons. Maybe he somewhat is beginning to feel for her, but I won’t hold my breath since he keeps lying majority of the time. As for Bai Ming Li, it seems that the tumor is worsening and throughout the last couple to a few of the episodes, she has been bonding a little with Ping An and teaching her ways throughout life as a businesswoman, which I find very sweet. She might not be able to tell PA that she is the real daughter right at the moment, but she can try to spend a little time and teach her ways throughout life that PA has been missing and not quite understanding like she is starting to now. That is my other compliant about this series, we get so much screentime for all of the leads except Ye Chen! Those meetings with the Detective *could* lead to an interesting storyline, but I don’t think it’s going to happen? And these past two episodes PA/YC are kinda like a couple already (gosh the way they look at each other!) but yet, they’re not. I guess Xi Le had wanted a mother for so long, she is doing everything she can to keep things that way, even if she had to make sacrifices, including her friendship with PA. I don’t think she has opened up to Li Sha just yet, maybe she feels like she has some ‘control’ over her because she knows her secret. But her desire to be the perfect daughter to Bai Ming Li means there’re things she can learn from Li Sha, as superficial as they are. She just can’t be the same Xi Le anymore. Or maybe we just think of Xi Le as too perfect in the first place, I still remember that scene in ep1 or 2 when she slapped PA in front of Bai Ming Li… before all of this happened. Her ‘dark side’ might just be hidden for a while and now that she’s in a position (socially) to be as much of a brat as she likes, that dark side can be clearer on the surface! lol. Oh that and Zi Wen – yes you’re right it’s not PA’s fault Zi Wen keeps giving her attention etc but Xi Le doesn’t know because PA and her never talked about such things. It’s kinda weird they never talked about which guy they liked and PA didn’t find out until Zi Wen’s birthday! I would’ve thought if they’re such good ‘sisters’ this would come up. Ah yes I like the interactions between PA and Bai Ming Li so far as well, but too bad time is not on their side if her diagnosis is six month left to live. Hopefully we’ll see more of these before the inevitable happens! I agree with you. It’s understandable that Xi Le wants to be the perfect daughter for Bai Ming Li, but there are ways to go about that instead of some of the ways she has been doing now. Learning from Li Sha should be the last person she tries to learn things from lol. I just cannot get over her evil ways lol. Especially when she’s trying to take Ye Chen away from PA. Don’t you find it funny that Li Sha contradicts herself by saying that Xi Le does not need to hang with PA because of PA’s ‘class,’ but instead tries to steal Ye Chen who is in that same class as PA? I agree; Xi Le might just have a dark side hidden because I sometimes see the ‘evil’ way she looks at PA. It almost seems like she is jealous, but then again that is just my opinion. There’s some potential if they do go down that line with the detective, like something about what Bai Ming Li might’ve done in the past? But I guess with only a few episodes to go it’s probably unnecessary. You’re totally right about the jealousy thing, I never really saw it before, but in episode 9 that’s exactly what Li Sha / Xi Le were talking about! Both of them are jealous of why everyone loves Ping An, Li Sha just doesn’t hide it. Maybe Xi Le never thought about it that much before but now with Li Sha talking non stop beside her, she’s beginning to feel more of it. As for Ye Chen, haha yeah, he’s ‘just a driver’ but Li Sha is so competitive even if she doesn’t like him *that much*, she just wants to win. But she’s not going to LOL. Really Xi Le knew? I must’ve forgotten about it already~ but then they really should know each other’s lives inside out anyway – which other guy can there be? Xi Le just wants Zi Wen for herself, and as episode 9 proves, she’s not that smart especially when it comes to relationships!